The worlds most favourite detective is coming to Dubai ! 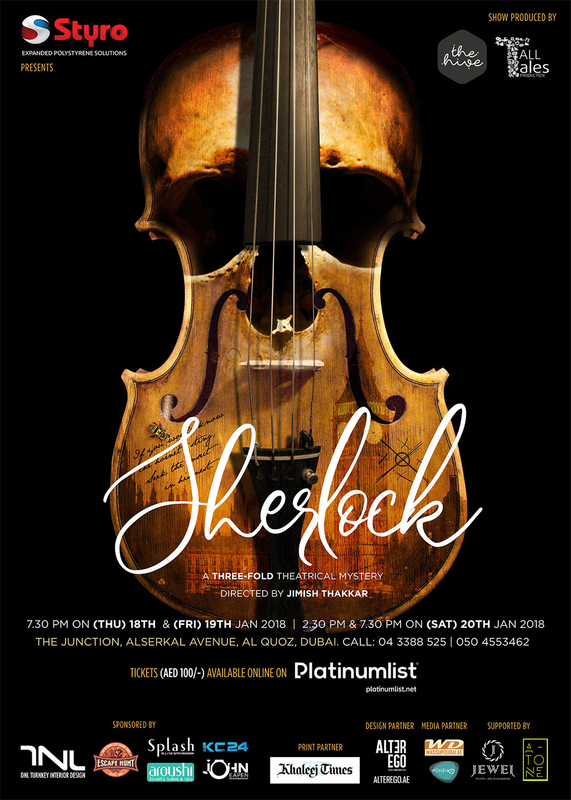 The Hive in association with Tall Tales Production is bringing Sherlock to the UAE for his most challenging case yet. Come experience a battle of wit, intrigue, mystery, and a lot of deception! Jimish Thakkar directs an extremely talented ensemble and this one promises to be a blast. The play will be staged at The Junction, Alserkal Avenue (Al Qouz) - The hub for arts & creativity. Thursday January 18th 2018: 7:30 pm. Friday January 19th 2018: 7:30 pm. Saturday January 20th 2018: 2:30 pm & 7:30 pm.